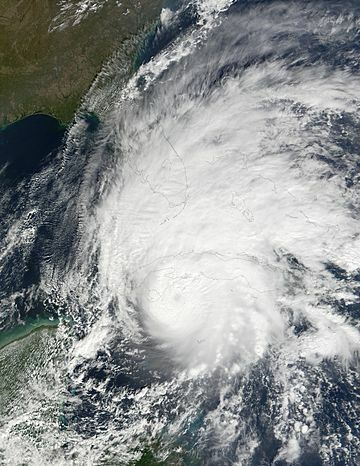 Hurricane Michelle was one of only four category 4 hurricanes in November. Hurricane Michelle was also the strongest hurricane of 2001. The hurricane was likely the second strongest hurricane to strike Cuba. Michelle was at its top winds when it struck Cuba, but when it left Cuba it was only a category 1 hurricane. Michelle also struck Nicaragua as a depression and the Bahamas as a category 1 hurricane. Hurricane Michelle left $2 billion in damage and killed about 17 people. The name Michelle was retired Because of the damage it caused. The name Melissa was first used in 2007, instead. Hurricane Michelle Facts for Kids. Kiddle Encyclopedia.